As the benecos WBBL Play-Offs come galloping into view, our All-Star Five this week will all be involved during the coming weeks for their respective clubs. The guard was her usual prolific self in the match-up against BA London Lions, racking up a massive 33 points. She also claimed an all-action 7 rebounds, 3 assists and 3 steals. 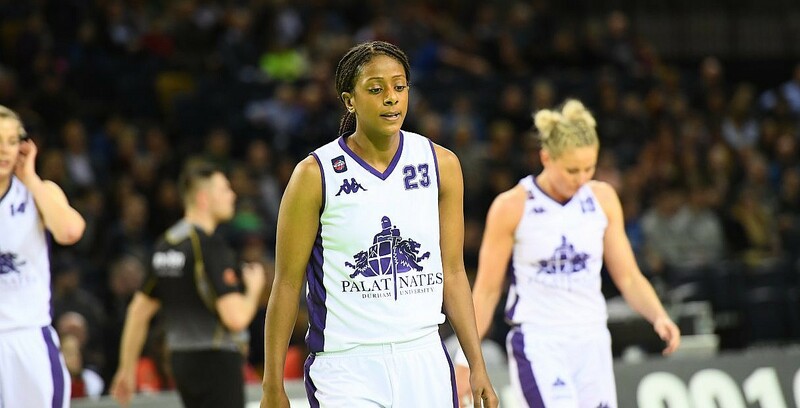 It was a brilliant win-double for Palatinates and Taylor helped them add to their success against Rebels by starring with a near triple-double of 14 points, 14 rebounds and 8 assists against Riders. One of the most in-form players of in the league in past weeks, Ohrdorf helped Eagles sweep aside the visiting Archers. She tortured Cardiff with 19 points from 61% shooting and added 6 rebounds. It was another power-packed showing from the Wildcats’ frontcourt star as Joyner went to work on the glass against Lions. She corralled another super double-double of 12 points and 17 rebounds. Off The Bench – Betsy MacDonald (Durham Palatinates), Judit Fritz (Sevenoaks Suns), Kara Bonenberger (Newcastle Eagles), Robyn Lewis (Cardiff Met Archers), Sarah Toeaina (Westfield Health Sheffield Hatters), Angel Waithe (Essex Rebels), Meg Pritchard (Oaklands Wolves).